Most of us are familiar with the term “Posse Comitatus” in reference to the 1878 law that was pretty much anally-raped out of existence with passage of more recent “anti-terrorism” laws. In 2006, GWB urged Congress (what a quaint concept, huh?) to consider revisions to federal statute to allow .mil forces to be used to restore public order and enforce laws. These changes ended up in the NDAA for 2007. This entry was posted in Op-Ed, Preps, Small Unit Tactics, Training and Leadership on January 31, 2014 by Defensive Training Group. When groups of self-interested people exist in close proximity to each other, amidst a finite, limited amount of necessary survival resources, the historical record demonstrates that the demands of self-interest invariably result in violence. In an era of readily available firearms that require—relative to the swords and spears of antiquity at least—little training to use effectively, if not efficiently, that violent conflict almost always results in horrific losses to all parties involved. 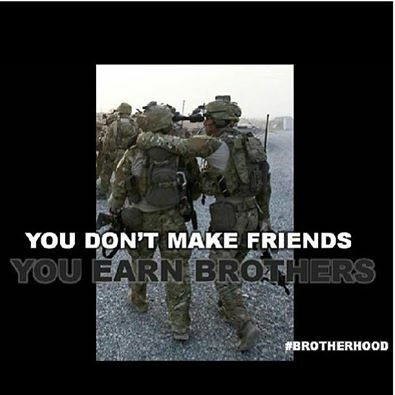 This entry was posted in Basic Skills, Preps, Training and Leadership on January 30, 2014 by Defensive Training Group. Preparedness. A way of life that ensures when (not “if”) something happens out of the ordinary, like what’s going on in the South now, or the major ‘deep freeze’ going on in the North, that you and yours will be ‘ok’ much longer than those who just hop in the car and go. 17 Car Pile Up near Hoover, Alabama. Looks like about 1 inch on the ground. And good luck trying to get home on foot with just your street shoes and coat. This entry was posted in Op-Ed, Preps on January 29, 2014 by Defensive Training Group. And knowing exactly who musical icons are today or were yesterday and their true beliefs and more importantly, what their goals are for Americans, helps the prepatory minded identify those who would enslave us, and thus having that knowledge, are not blinded to their purpose. H/T to Pete over at WRSA for this information. Pete Seeger performing at the Rally for Détente at Carnegie Hall in New York. AP Photo. Emphasis on Senate Internal Security Subcommittee added. This entry was posted in Op-Ed on January 29, 2014 by Defensive Training Group. Our recommendation. Use this as a template; adapt to your own AO and weather conditions. You might have to add more items or drop a few. Then again, looking at the weather in places like Birmingham, Alabama, or Atlanta, Georgia, this might be a good list as is….. This entry was posted in Basic Skills, Tools and Equipment on January 28, 2014 by Defensive Training Group. Got training? Got preps? Got plans? This entry was posted in Op-Ed on January 28, 2014 by Defensive Training Group. Speaking of various uses for tomahawks and other edged tools, Mosby provides some interesting perspective…. This entry was posted in Small Unit Tactics, Tools and Equipment on January 28, 2014 by Defensive Training Group. Why? Besides ‘general purposes’, Red China seems to be in the beginning throes of economic criticality. According to a story in Forbes that was subsequently pulled, and brought to light by Karl Denninger, China’s banks are on a holiday of sorts for withdrawals from banks. For weeks now, various pundits have been predicting China’s economic melt-down to occur around the 31st of January…..we’ll see, I guess. This entry was posted in Op-Ed on January 27, 2014 by Defensive Training Group. If you want a good tool for those times or tasks that a good fixed blade knife or multi-tool just don’t measure up, you may want to consider the good, old fashioned tomahawk. 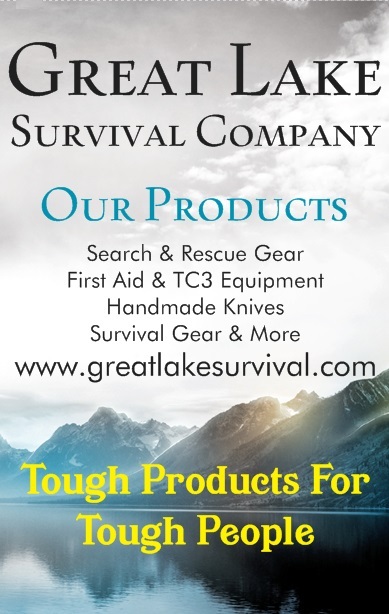 Especially the Pipe or Trail Hawk by Cold Steel as prepared and sold by the Great Lake Survival Company. Here’s just two reasons that you may want to mull over if you don’t already have one. It’s a superb tool that provides the leverage necessary for performing various tasks whether or not one uses it for a hammer, skinning tool, or for forming stakes, building shelter frames, natural snowshoe frames, etc. If needs be, if used as a last resort weapon, it has a much better reach than a knife, and has a pyschological ‘edge’ as well. DTG staff gets their ‘hawks exclusively from Great Lake Survival Company www.greatlakesurvival.com. The folks there sell several different types, all Cold Steel brand, and offer a new ‘bomb proof’ and a ‘GLSC Sharp Edge’ upgradesas well. Just the base hawk prices include user friendly upgrades we haven’t been able to find anywhere else. We don’t recommend the more exotic ‘spike’ hawks, as they are primarily weapons and aren’t suited as well to survival or preparedness tasks. If spike hawks are your thing, great, but we tend to lean towards tools that can be used for general purposes, meaning they can do many things well, a few things ok, and only one or two things not so well. As we like the best we can get here at DTG, our hawks have the ‘bomb proof’ upgrade as well as the ‘GLSC Sharp Edge’ enhancements. It makes a difference, too! During this past October’s Basic Survival class, DTG staff used their ‘hawks to demonstrate shelter building and enhancement, cutting kindling, and various other sundry tasks, and at the end of the class, the ‘hawk edges were as sharp as they were before class. We’ve used these ‘hawks in warm, wet, and extremely cold weather, all with superior results. You owe it to yourself to check them out. 1. We stained the hickory handle. 4. We score the handle so that the paracord stays tight and doesn’t move on you. 5. We cut down the handle to 18″. Easier to handle, just as powerful. We take every Tomahawk and reset the hawk head with a bonding agent that fuses the metal hawk to the hard hickory handle. What you get is a solid mass that will hold up for generations of use. Through abusive testing, we’ve found a way to improve the hold that our hawks have on that tough hickory handle.. Without our upgrade, will the hawk head ever come off? No. It’s held on by set screw and has a great bite on that handle. However, our bonding agent cements that hawk head in place even with repeated abuse, there is less chance that your hawk will become get a “wobble” to it. So you too, can have an absolute “bomb-proof” tomahawk. The reason you don’t see many hawks with this much thought and time put into them is simple: time is valuable. It takes time to process great tomahawks like we have. At Great Lake Survival we believe that a good product is just as valuable as time. Could we charge more than we do for our ‘hawks? Yeah, in a heartbeat. Especially with the hand crafted improvement that we put into each unit. Base model or ‘bomb proof’, you can’t go wrong with Great Lake Survival’s tomahawk pricing or enhancements. This entry was posted in Tools and Equipment on January 26, 2014 by Defensive Training Group. Ukraine – News is Starting to Leak Out…. The violent protests in Ukraine have spread beyond the capital of Kiev. The city appears more like a war zone and we are watching a revolution in action. Make no mistake, this is the arrogance of a political administration that has shown it is willing to killing its own people to retain power. The protesters are demanding immediate elections, the resignation of the President Viktor Yanukovych, and a repeal of the anti-protesting laws he just enacted. Effectively, Yanukovych has demonstrated that he is ruthless and is completely out of touch with reality. The governor of Lviv, in the west, found his offices stormed and he was forced to sign his resignation by protesters. This is about political corruption in Ukraine that is a beacon to the world of what is likely to come. Make no doubt about it, every government is watching this in horror for this revolution is not with guns, but with courage and using whatever means is available. Gasoline proves to be a formidable weapon when the people are stripped of arms. The political damage so far has made this a revolution complete. There is no going back to a normal life in Ukraine. Either Yanukovych resigns, or there will be civil war. Behind closed doors, governments are watching how they themselves will be treated one day and how to defend against the people. The smart ones are starting to realize you cannot simply bully the people all of the time. One primary difference between former Communist countries and the West is critical to understand. BECAUSE they have no social nets, the people do not trust nor rely upon government. In the West, people depend on government for everything. In Ukraine, they can grow their own food and family units still take care of all members. In the West, the downside of socialism is that the children have not planned to take care of parents for that was the State’s job. Socialism has endorsed the me-me-me culture and that is the weakness for there is no self-reliance and society has been totally dependent. The risks in the West are actually far greater. This entry was posted in GOOD, Op-Ed on January 24, 2014 by Defensive Training Group.